The apartment in Oporto has 1 bedrooms and has capacity for 3 people. The apartment is cozy, is modern, and is 33 m². It has views of the river. 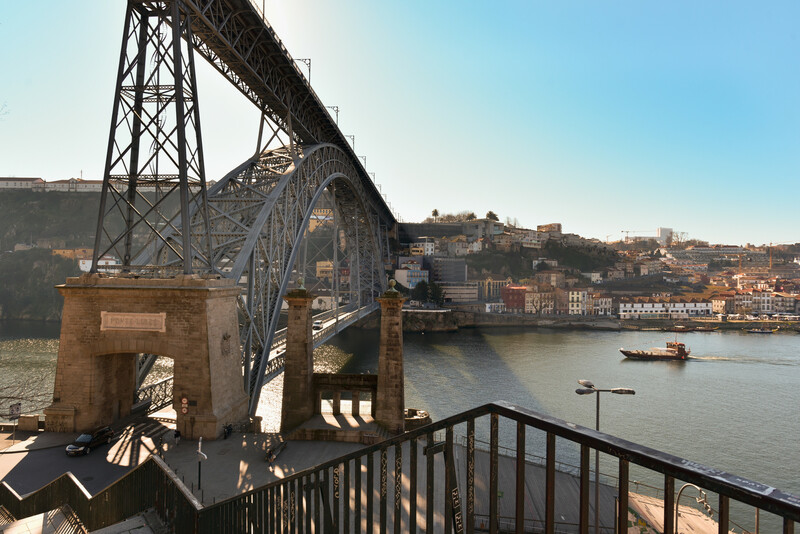 The property is located 0 m from Porto City Center city, 100 m from Douro River , 100 m from Café Oásis da Sé , 200 m from Fish & Chips Restaurant , 300 m from São Sebastião Market supermarket, 500 m from São Bento Metro Station , 500 m from São Bento Train Station train station, 500 m from Minipreço Supermarket supermarket, 600 m from Bacchus Vini , 900 m from City Market Bolhão supermarket, 1 km from Bolhao Metro Station , 9 km from Quinta do Fojo Golf Club golf course, 12 km from Francisco Sá Carneiro Airport airport, 14 km from Valadares Beach sand beach, 20 km from Matosinhos Beach sand beach, 65 km from Amarante Waterpark water park. The house is situated in a family-friendly neighborhood in the center of the city. In the induction kitchen, refrigerator, microwave, freezer, dishwasher, dishes/cutlery, kitchen utensils, coffee machine, toaster and kettle are provided. 1 TV, TV Satellite (Languages: Spanish, English, German, French), internet (Wi-Fi), hair dryer, alarm, 33 m² property, air-conditioned.